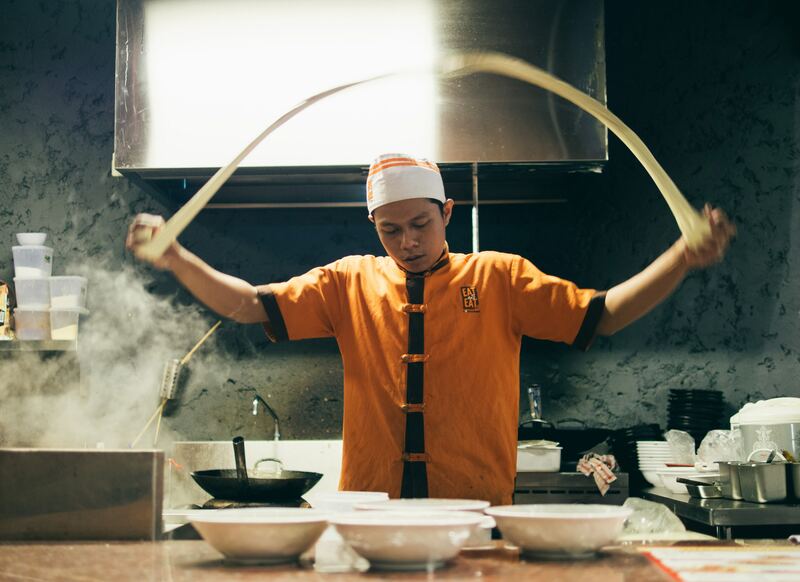 We’ve touched on this topic before on the blog - adapting to the needs of the current market is crucial to your success in the restaurant industry. Consider this scenario: you’re at home and craving italian food. You don’t feel like leaving the house, so you use a delivery search engine to see what’s around. Likely, if the reviews are good and the price is decent, you’ll place an order. Now imagine if your restaurant isn’t featured on that page, and how many potential orders you could be losing. Ordering takeout is on the rise. 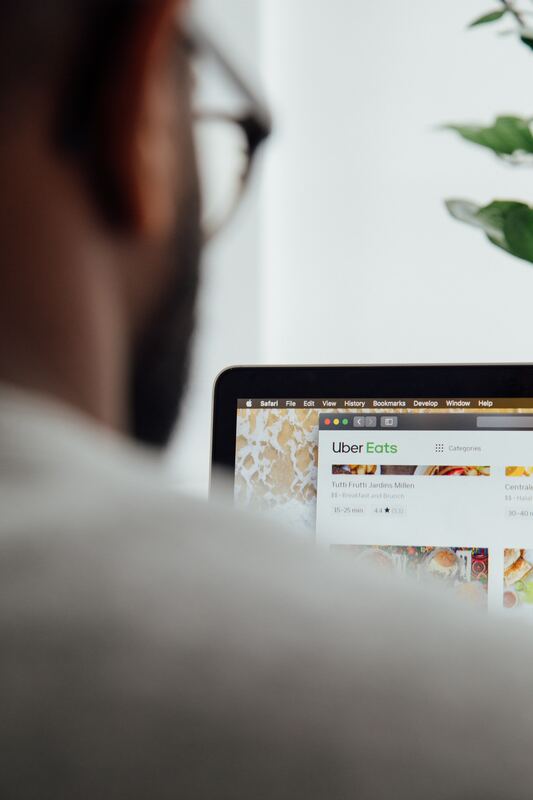 This makes sense, as there has also been an increase in app creation for online ordering platforms, more users getting online, and more of a desire for a seamless way to get dinner to the doorstep. During this age of technology, it’s critical that your restaurant hops online too. Not only will you be entering a fast growing trend, but there are benefits for your business as well. Did you know that most online ordering platforms can integrate with your point of sale? These integrated solutions eliminate the headaches that third party apps can bring. This is beneficial to your team because it creates a single platform for all transactions and brings in outside revenue to your restaurant at the same time. There are a few different integrated ordering platforms available, and we advise you to do your own research to determine the best fit for your restaurant. Using an online ordering platform will also give you more data about your customers’ wants. Over half of consumers are now ordering online. These orders placed throughout the week will give you tangible data about popular menu items that your restaurant has to offer. 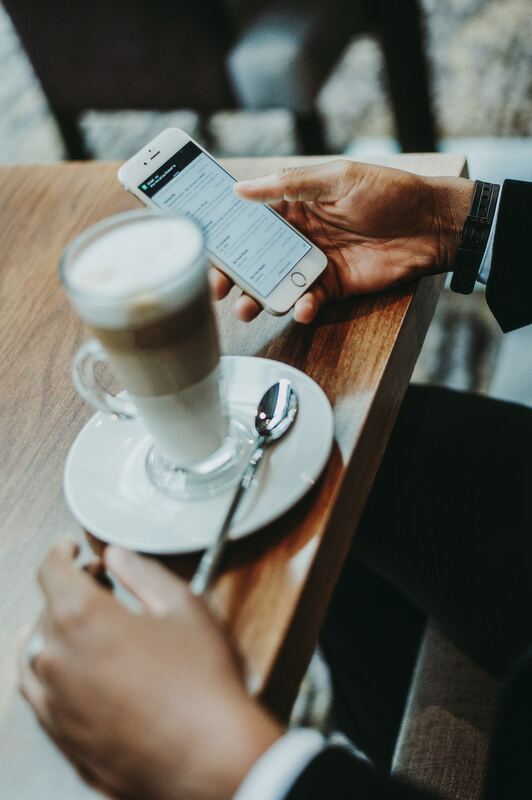 Not only will you increase revenue online, but you can potentially increase revenue at your restaurant during the week by discovering which of your menu items customers are ordering the most, and increasing your efficiency for these orders. One of the most important aspects in transitioning over to an online ordering platform is making your customers aware that they can now place orders online. Use printable marketing materials to advertise that you have partnered with an online ordering site and offer special deals for customers when they place their first order. By offering online ordering, you can increase your revenue and online presence without a huge financial investment. Happy ordering! “We can save the hand, but we need to place it in a bucket of ice!” If you’ve been on the receiving end of this statement (we hope not) you understand how crucial ice can be in a healthcare setting. While this is not the most appetizing sentiment, it certainly is a useful and practical application of ice. In a healthcare setting, ice has many different uses. Ice was once considered a medical necessity and was supplied in mass quantities to Civil War Hospitals as an incredibly important tool. Ice was harvested in the winter time from lakes, streams, and rivers, and then stored in ice houses for future uses. This was, after all, a time before ice machines. Once distributed to hospitals, ice had a variety of functional uses. One of the main uses of ice was as an anti-inflammatory to reduce swelling incurred by various diseases, infections, and broken bones. In fact, ice is still used as an anti-inflammatory agent in hospital settings at the present day. Ice was even used to treat hemorrhage, although at present we use more modern methods. In the modern day, ice still has a place at the hospital. Its uses can be varied from keeping drinks cold in the cafeteria to being served as chips to patients who are coming out of surgery. Ice is important in a healthcare setting, so it’s critical that you have an ice machine you can rely on. For a smaller space like a nurses’ station or common area, we like the Scotsman Meridian Air-Cooled Nugget Ice Machine Dispenser with Water Dispenser. This machine has been designed for healthcare settings and will produce ice safely, reliably, and efficiently. Its smaller size doesn’t hold it back - this machine is still capable of producing up to 260 pounds of ice per day. You can find this product here. Another great compact machine for the healthcare setting is our Ice-O-Matic Pearl Ice Machine and Water Dispenser. This countertop machine does it all and creates ice that is soft, chewable, and will retain the flavors of the drinks it cools. Although the storage space is small because of the machine’s size, it can quickly refill its bin to produce nearly 12 pounds of ice per hour. Find this machine here. These machines are just a taste of the wide variety of ice machines for healthcare settings that we have available on our website. Multifunctional and efficient, we recommend an ice machine that you can rely on for a setting where ice can mean life or death. View our full range of ice machines for the healthcare setting here. A restaurant hood system is a piece of equipment that you will likely see in every restaurant setting (hopefully). These pieces of equipment keep a commercial kitchen safe by preventing fires in the kitchen. These systems remove heat, smoke, and greasy vapors that are generated when cooking large volumes of food and that can become hazardous when exposed to the open air. Having a good hood system that you can rely on is critical to the safety of your restaurant. This week on the blog, we’ll examine a few different types of hood systems and give you some of our recommendations for a hood system that will fit your needs. A hood system is comprised of a vent hood, baffle filter, exhaust fan, and an air unit. These parts function together to remove excess steam, water vapor, heat and grease from the kitchen environment. Hood systems come in a variety of different metals and construction types, so it’s important to do your research before purchasing one for your own kitchen. A canopy style ventless hood is a great tool for kitchens that are looking for a more sleek, modern design. These hoods are compact but can do the job of a traditional restaurant hood. One canopy hood system that we love can be found here, and is listed with the NSF international which focuses on public health, safety, and the environment. If you’re looking for a countertop hood system, consider the Equipex Vent System for Small Appliances. This machine is actually a ventless hood, and its innovative design allows the operator to go anywhere with 120 V power. This hood is designed for toasters, paninis, and induction cookers. This machine is perfect for a smaller cafe or local breakfast joint looking to meet local health inspection fire standards without a large bulky machine. You can find this machine here. Whichever machine is suitable for your needs, it’s important to do your research first. The right type of hooded ventilation system can last your restaurant over a decade. In addition, hood systems are not a cheap financial investment. Purchasing new hoods for your restaurant can cost you into the tens of thousands of dollars, so they aren’t something you want to replace every 2-3 years. If you have questions about what hood system your restaurant needs, visit our website to explore our ventilation hoods or get in touch with a customer service representative via phone call or the contact box on our website. If you’re thinking of hosting a summer soiree, you’re likely brainstorming your drink menu. 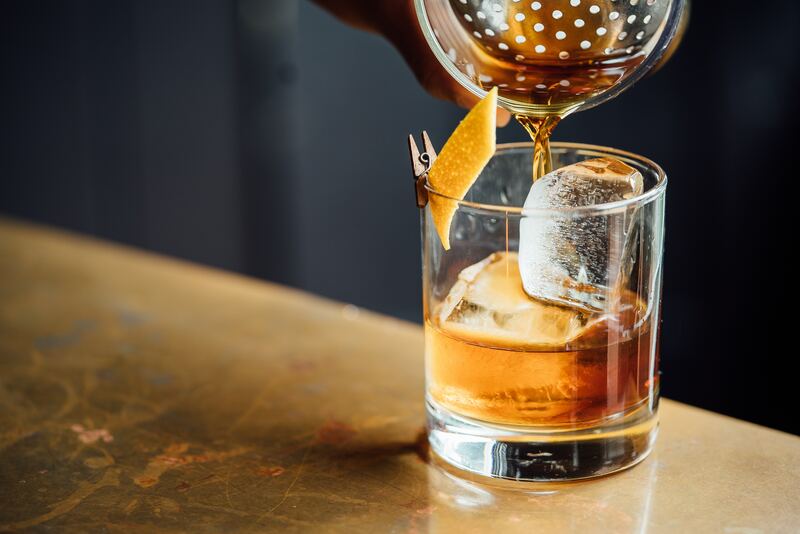 After all the hard work you put into your drink menu, you will want to make sure that guests enjoy your beverages with the right type of ice. After all, there’s nothing worse than a great glass of whiskey that becomes diluted by tiny flakes of ice. If you’re serving up old-fashioned’s, margaritas on the rocks, or other mixed drinks, cubed ice is a good way to go. We recommend using full-cubed ice, as it takes longer to melt and will keep drinks cooler without diluting them. This type of ice has less of an elegant look, but does the job for your traditional house drinks and barbecue cocktails. If you’re serving any beverage “straight,” you’ll want to use one large cube. High quality liquor should be sipped on, and this large cube takes a long time to melt giving your guests ample time to enjoy their beverages. This type of ice has a refined look, so is great to serve during cocktail hour before a dinner party at your home. You’ll want these cubes to be free of bubbles and streaks, so make sure that you have an ice machine that is up for the task. Finally, pellet ice. 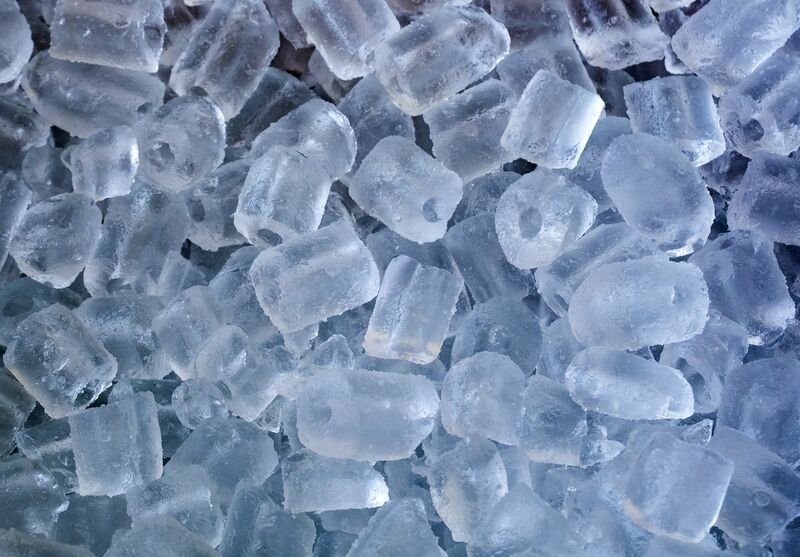 This ice is comprised of small pellet shapes that stack high in a glass. This ice ensures that the entire beverage will be cooled, but this ice melts more quickly than a large piece of cube ice. This type of ice is great for tiki-themed parties, mint juleps in the summertime, and other beverages that can be enjoyed outdoors with a straw. We offer a smaller version of the traditional pellet ice machine on our website, which is great for your outdoor bar or seating area. You can shop this product here. If you’re unhappy with the service provided by your current ice machine, it’s definitely time to shop around. 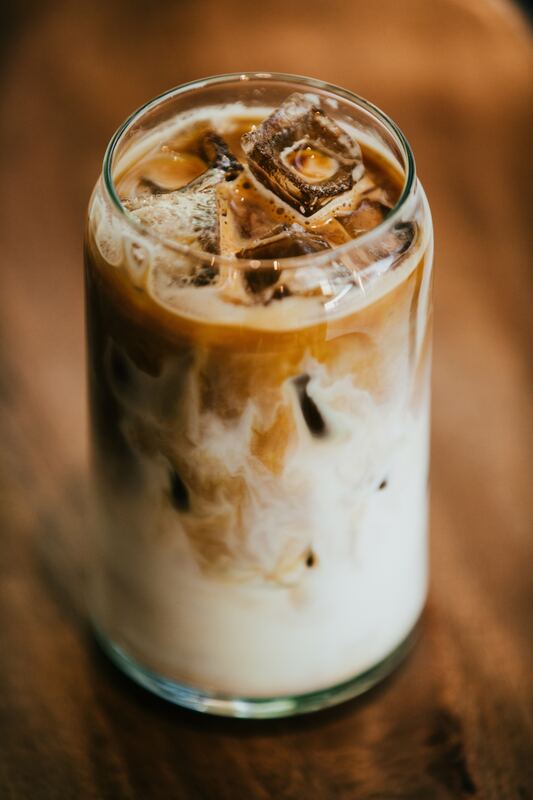 It’s crucial for grocery stores to be stocked with the highest quality commercial ice machines, because there is a very little margin of error. If your ice machine fails you, your store could lose thousands of dollars within hours. 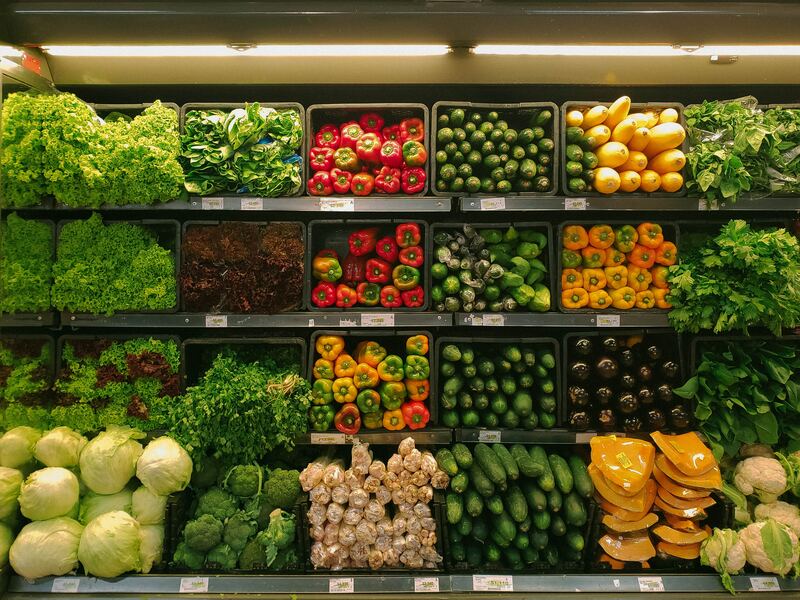 When considering which type of machine to get for your grocery store, there are a few factors to consider. First, ventilation and air temperature. The amount of ventilation and air temperature can drastically affect ice output. Poor ventilation can create high temperatures inside the ice machine, which results in a lower ice production. If your machine has to work harder, it’s less efficient - and it’s costing you more money. Another factor you’ll want to consider is water temperature. A machine that can efficiently moderate water temperature is a good machine to have. Similarly to the reason listed above, a machine that does not effectively moderate water temperature will result in a lower ice production and a lower efficiency. Lastly, you will want to consider the type of water filter needed for the water in your area. If you live in an area with hard water, you may need a more durable type of water filter which will affect the type of machine that you need to purchase. To avoid the issue of unclean water, or water full of unwanted minerals, make sure that your machine is properly cleaned and fit with the appropriate filtration device. We recommend a heavy duty, high production type of machine for your grocery store. Some of our favorites include the Scotsman brand, Ice-O-Matic, and Manitowoc commercial ice machines. These machines come in a variety of sizes with different capabilities for type and amount of ice production. We have an entire section of our website dedicated to ice machines for grocery stores for your browsing pleasure, and our customer service team is always available to answer any questions about the machines you may have. Shop our ice machines for grocery stores here. It’s no secret that a strong online presence is critical for the success of your restaurant. If you have a limited budget and cannot afford to hire a marketing agency for your restaurant, it’s time to do a little research of your own. While we all know that using a social media platform is important, which social media platform is the most critical for your restaurant? If time is a limiting factor in how much effort you can dedicate to your online platform, this is definitely a question you’ll want to be able to answer. This week we’ll explore a few different social media platforms and let you decide which one is best for your specific needs. First, Yelp. When searching for a new restaurant, people turn to the internet. A quick google search of restaurants in your area will pull up a slew of restaurants via Yelp. You’ll want to make sure that your Yelp account is solid and that you have a good mix of reviews. The more reviews you have, the more you’ll pop up in searches via Yelp’s algorithm. Yelp also makes sure all of their reviews are thoroughly vetted, and reviews from popular users will show up more frequently - so get to know your local Yelp crowd! Yelp is a great tool, and is probably the most influential social media platform so it’s a good idea to dedicate the majority of your time to managing your Yelp reviews. If you have upcoming events to share with the public, turn to Facebook. Facebook is great because you can sponsor ads that will show up in multiple users’ timelines, create free event pages that can reach thousands of consumers, and keep your followers up to date with new menu items, photos, and fun happenings at your restaurant. We also recommend Facebook because it allows you to create multiple ad campaigns and keep tabs on how your ads have performed via reports. Lastly, Instagram. Instagram is great because it doesn’t require a ton of work and you can delegate one of your staff members to managing your Instagram page. It’s definitely worth using, but it’s important to post only high quality images. With good images, creative captions, and fun Instagram stories, you’ll soon have a following that will hopefully pay a visit to your restaurant. Don’t overlook the hashtag - a little research goes a long way when considering relevant hashtags to use on your restaurant’s Instagram page. So, which platform should you use? All of them! While you may want to dedicate more time to one specific platform, it’s important to be on multiple different platforms to help cultivate your online presence. A good place to start is your own website (of course), a solid Yelp account, a Facebook page, and an Instagram page. We recommend dedicating the most time to managing your Yelp account, while keeping a good handle of your Instagram and Facebook page. The most important thing is that you get out there - your customers will thank you for it. Cheesy, gooey, with a crisp crunchy layer on top. This is the Mac and Cheese of our dreams. A commercial broiler can help your restaurant achieve perfection at every cheesy turn, and cook up succulent steaks, savory vegetables, and other entrees as well. A commercial broiler is a necessary ingredient in the consistency of your restaurant’s kitchen. We recommend a commercial broiler larger scale restaurants with a big kitchen space and lots of delicious, specialty items. A broiler works via radiant heat. The broiler heats from above, and evenly distributes intense heat all around the food which is what leads to golden food every time. A broiler is essentially a closed grill. 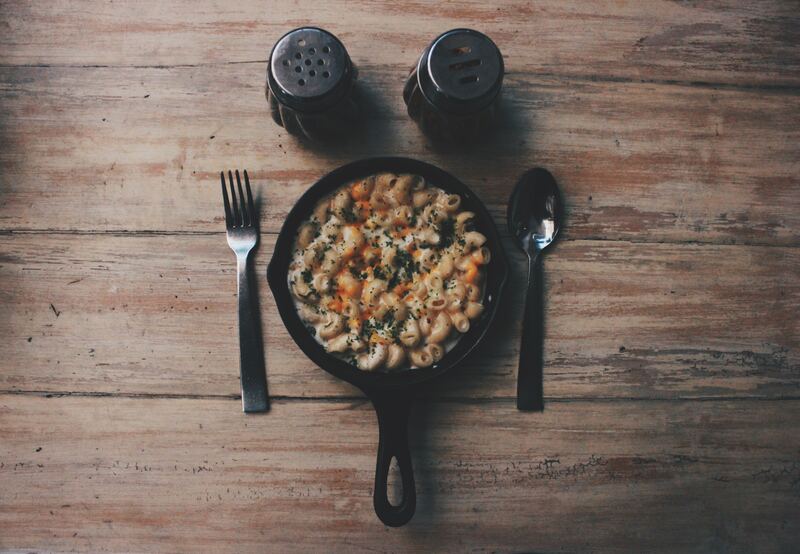 Purchasing a broiler for your restaurant means that you have an extremely versatile piece of restaurant equipment capable of adding a special touch to many of your most popular menu items - like Mac and Cheese. If you like the idea of a broiler but simply don’t have enough space in your kitchen, consider a Salamander Broiler. This piece of equipment is a smaller version of a commercial broiler and can be placed on top of your restaurant’s counter. A Salamander Broiler also cooks food via radiant heat, so it’s the same method with a smaller concept. Because they are so small, they cannot be used to produce popular food items, so they are good for infrequently ordered or speciality foods. If you decide that a commercial broiler is right for you, consider our Vulcan Upright Ceramic Broiler. This monster of a machine is also a beauty, made of stainless steel and high quality ceramics. This broiler is designed to provide excellent finishing results in the most demanding kitchens. In times of stress, this broiler ensures rapid recovery times for maximum productivity. You can shop this product here. Broilers are recommended for most kitchens. These high powered, heavy duty, versatile machines are a great addition to any type of commercial kitchen. Whether you go big or small, a broiler is the right choice for your kitchen. Make sure to visit the broiler section of our website to shop all of our amazing deals on broilers, large and small. To shop our broiler selection, click here. One trend we’ve seen over the last few years in the restaurant industry is all things seasonal. 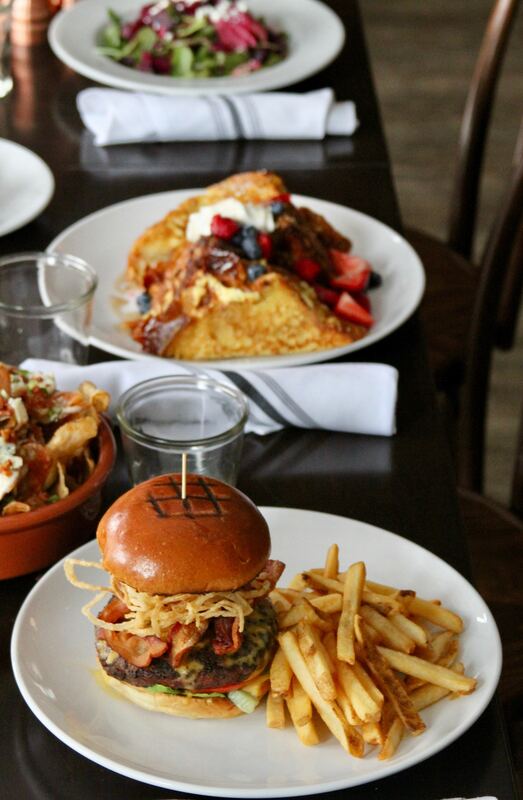 For most American-style restaurants other than sports bars, a seasonal menu is a must. It’s important to keep things fresh and trendy when trying to compete with newer restaurants, but a seasonal menu can seem daunting to some. Don’t sweat - this week on the blog we’re diving in to how to create and maintain a successful seasonal menu, without the stress. First, keep the staple items the same. While a seasonal menu can include new and creative items, it’s good to keep a few staple menu items that your customers can expect. This creates a sense of familiarity, pleases those creatures of habit, and allows you a little breathing room. A seasonal menu does not mean that you need to change up every menu item every three to four months, but it does require a little bit of creativity and rotation. Pick just a few seasonal dishes to start out with that you feel confident in. Instead of trying to recreate the menu multiple times a year, keep the staples the same and allow your team of chefs to choose three to four seasonal items to spice it up. Once you start to experiment with seasonal items, your customers will grow to anticipate your menu changes. Social media is a great tool for restaurants trying to keep up a seasonal menu. You can poll your followers on what they’d like to see in the upcoming season as well as notify them about spur of the moment tasting menus and updates. Make sure that your staff is also excellently trained with menu changes, as it will be the waiters’ job to sell the food in the restaurant. Don’t let seasonal changes wear you out. Change your perspective to a positive one, train your staff adequately, and embrace small changes. Follow this simple recipe and we guarantee you’ll be on your way to success, past the summer season. Recently, there’s been a lot of wine talk on our blog. We can’t tell if we’re just yearning for summer nights, or maybe a trip to Italy. Either way, this week’s blog topic is still all about vino. This week we focus on the perfect type of wine glass to buy for your restaurant and take you on a tour of our showroom. First, it’s important to note that each type of wine requires a specific type of glass. Red wine, for example, should always be served in a large glass. The bowls of these glasses are fuller and rounder which allows for you to detect the aroma of the wine when your waiter pours you a sample. 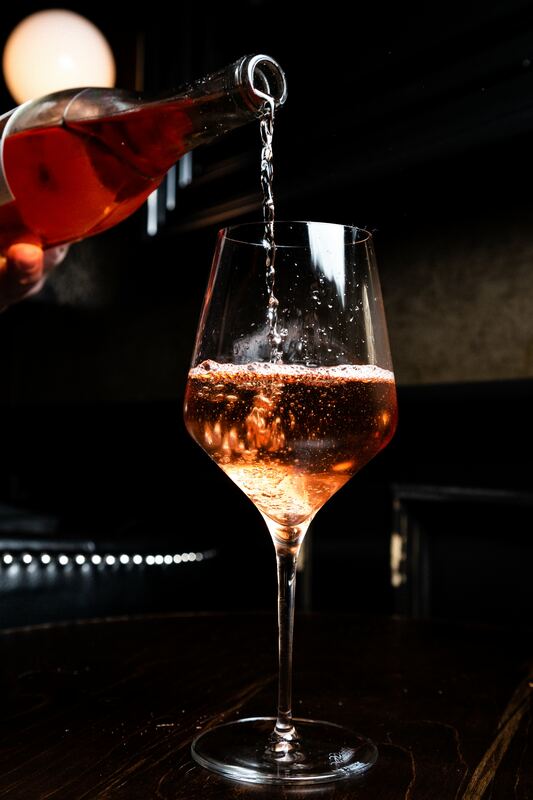 A glass like our Diamond Balloon Wine Glass is an excellent example of this - it allows for enough surface area at the bottom of the glass for the flavors to unfold, and is a beautiful addition to any table. You can check this glass out here. For a house wine or for a glass that looks more casual, we recommend a wine glass on the smaller side. You will see these at mom and pop restaurants and while they still do the job of a red wine glass, they can easily fit the aesthetic of any restaurant. You can find our version here. A white wine’s glass is more U shaped than the cavernous bowl of red wine glasses. These glasses tend to stand a little taller, and have a distinctive and elegant look. These glasses have taller sides which allow for the aroma to be released while maintaining a chilled temperature. W e offer both tall and classic options on our website which are ideal for both indoor and outdoor settings. One of our favorite white wine glasses is the Libbey Tall Wine Glass. This glass is an excellent choice when serving fine wines, and can be found here. A cause for celebration? You need a Champagne flute. Sparkling wine adds a hint of luxury and sophistication to any menu. Champagne flutes promise an evening of cheer, celebration, and good vibes. A sparkling wine glass is more upright and narrow than other wine glasses to preserve the bubbles. We recommend going with the traditional - our Cardinal International Sommelier Champagne Flute Glass does a beautiful job of toasting the evening, and can be purchased here. Ah, wine season. Well, if you’re like us - wine season is year round. However, summer does call for a good rose or sparkling wine on the patio, and having the right glass makes a world of difference. Love seeing our blogs? Make sure to tune in biweekly for the latest edition! So, you want to buy an ice machine. Not quite sure where to start? First, consider the type of ice you’ll need to make to meet your goals. This week on the blog, we’re giving you a foundation of the basic types of ice so that you can make an educated decision when purchasing your first ice machine. Looking for ice to display fresh meat, seafood, and other gourmet-type items? The last thing you want is a beautiful piece of fish laid out on chunky ice. For this purpose, we recommend flake ice. Flake ice is the ideal type of ice for preserving food on display because it maintains temperature for long periods of time. This type of ice can be made from many different machines, but one we love is the Scotsman Flake Ice Machine. Shop this product here. Our favorite ice for beverages is nugget ice. Used by many fast food restaurants, nugget ice is a type of ice that comes in small pieces. This ice takes a long time to melt which makes it perfect for keeping beverages cool for a long time. We love this ice because of its size and texture. A great machine to tackle this type of ice is the Ice O Matic machine. This machine is heavy duty, durable, and can make 85 lbs of ice every 24 hours. Check it out for purchase here. Lastly, half ice vs. full ice. Full ice cubes are the traditional. They are used in many commercial settings and are great for many different beverages. Half ice cubes are easier to chew, half the size, and are good for schools, retail services, and hospitality. The Manitowoc is a great machine for this type of ice, and a great version is the Full Cube Size Ice Machine with an underwater bin. Check this product out here.